Time to ‘fess up. I’ve been in denial for two weeks. The VM is out of No-name, but she is still just a mite too greasy for my liking. Yes, I know that some spinners don’t wash any lanolin out before spinning “in the grease.” And as lovely as that sounds for moisturizing my dry mitts, I just can’t do it. If I knew that I could get the remaining lanolin out of the spun yarn, I’d just go for it. But I’m not that confident. And so, I’ve been waffling. But the sun is once again shining today and so I’ve made up my mind. Once more into the breach…er, wash. Yes, it's for sale in my Etsy shop! In the meantime, I’ve got more of this cocoa- and cream-colored Corriedale mix currently on my wheel, and it will go up in my Etsy shop, Cold Hands Warm Art, to join the other two skeins of the same mixture when finished. Entry filed under: Sheep to Yarn Process. Tags: cleaning fleece, Corriedale, etsy. Good luck with the washing……hope your assistant kitty is available to supervise. The corriedale looks fabulous, I’m glad you put the picture here, because it is likely the yarn itself will fly off the shelf on Etsy, followed by the photo as you tidy up. You will be glad you got the lanolin out of No Name once you do it. 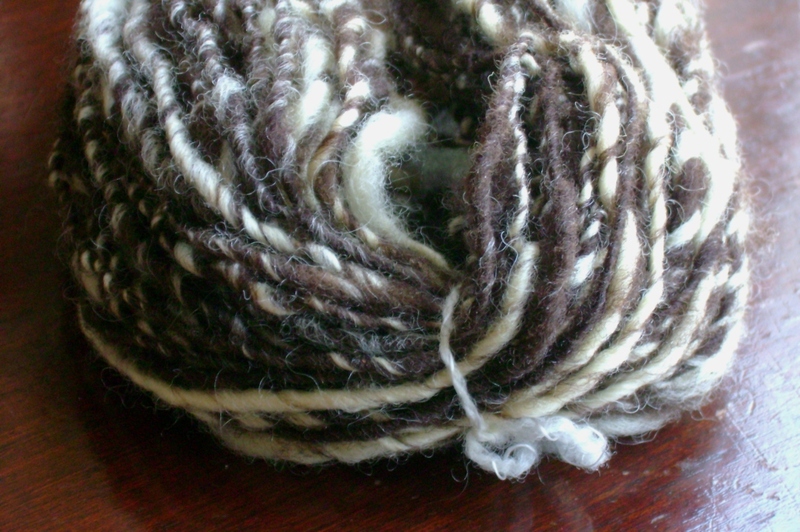 One of the problems with lanolin is that it can get sticky, then stiff later on down the line, and although its adherents (not meaning those bits that stick to it when it is in the sticky phase, but its fans) say it repels rain (and well it might) it also can make the ultimate yarn difficult to work with.